The bestselling debut, with over a million copies sold, that launched Tana French, author of The Witch Elm and “the most important crime novelist to emerge in the past 10 years” (The Washington Post). “It has become increasingly clear that American-born, Dublin-based Tana French is the most interesting, most important crime novelist to emerge in the past 10 years." (The Washington Post) Tana is the author of the bestselling In the Woods, The Likeness, Faithful Place, Broken Harbor, The Secret Place and The Trespasser. Her books have won awards including the Edgar, Anthony, Macavity, and Barry awards, the Los Angeles Times Award for Best Mystery/Thriller, and the Irish Book Award for Crime Fiction. She lives in Dublin with her family. "[An] ambitious and extraordinary first novel...rank it high." 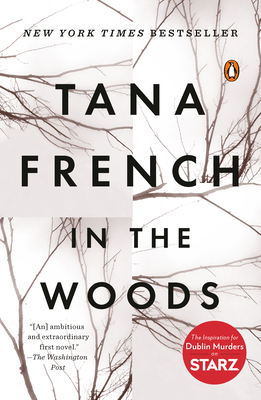 What do the woods represent symbolically in Tana French's novel? Does their significance change as the story progresses? The loss or absence of stable families is a recurring motif in In the Woods. How do French's characters, particularly Ryan, attempt to compensate for this absence? Does the Irish setting of In the Woods contribute significantly to the telling of the story, or do you find French's novel to be about humanity on a more universal level? How does Ryan's experience in the woods at the age of twelve affect his ability to function as a detective? Is it always a hindrance to him, or are there ways in which it improves and deepens his insights? Cassie Maddox, Ryan's partner, is perhaps the most consistently appealing character in the novel. What are her most attractive qualities? What are the weaker points of her personality? Does Ryan ever fully appreciate her? After sleeping together, Ryan and Cassie cease to be friends. Why do you think the experience of physical intimacy is so damaging to their relationship? Are there other reasons why their friendship falls apart? Ryan states that he both craves truth and tells lies. How reliable to you find him as a narrator? In what ways does the theme of truth and misrepresentation lie at the heart of In the Woods? Imagine that you are Ryan's therapist. With what aspects of his personality would you most want to help him come to terms? Do you think there would be any way to lead him out of "the woods?" How convincing is French's explanation of the motivating forces that lead to Katy's murder—forces that come close to a definition of pure evil? Are such events and motivations ever truly explicable? The plan to build the new motorway, trampling as it does on a past that some regard as sacred, is an outrage to the archaeologists who are trying to preserve an ancient legacy. How does this conflict fit thematically with Ryan's own contradictory desires to unearth and to pave over his past? Do you have your own theories about the mysteries that remain unsolved at the end of In the Woods? What are they? What were your thoughts and emotions upon finishing In the Woods? If this book affected you differently from other mysteries you have read, why do you think this was true?